Property consists of 2 metal warehouse buildings. 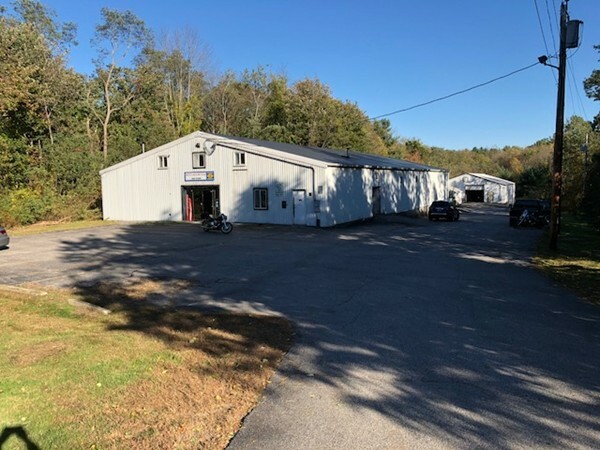 The Front/Main warehouse, built in 1980 has a mezzanine level with 2 offices, a large warehouse, a half bathroom, front retail showroom and a garage/loading area with a total of 7,260 sf. The second warehouse is an unheated storage building. This building was built in 1998, is approximately 5,000 sf with 2 bay doors. This is the perfect property for an electrician, plumber, or any tradesmen. It is currently housing a motorcycle shop. Use one building for business and rent out the other. High Traffic very visible location. Bright professional office space consisting of an area for reception, 4 offices and a large main office space! Ideal for many types of professional business. Convenient to major highway, shopping, entertainment & restaurants. Pleasant and inviting main entrance way to your unit. Ample parking! All utilities included (not including telephone,cable or internet)! Landlord is sole owner of the unit separate from the Main Building. Landlord may consider rental of individual offices within the unit. Landlord requires Credit check and References. Tenant Insurance required Amount TBD by Landlord. Investor alert!! 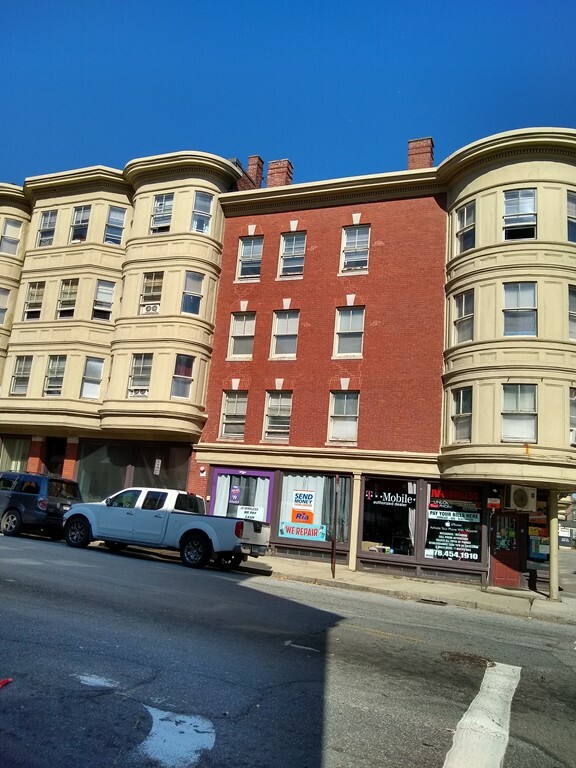 Looking for a fully occupied with mixed use building? Here it is and it offers ample off street parking, vinyl sided exterior and updated windows throughout. Residential units offer townhouse style living side by side with 3 bedrooms in each unit with updated kitchens and baths. Very convenient location. Unit is located at the corner of Bridge St. and Armory St. There are several sinks and half bath in the unit. 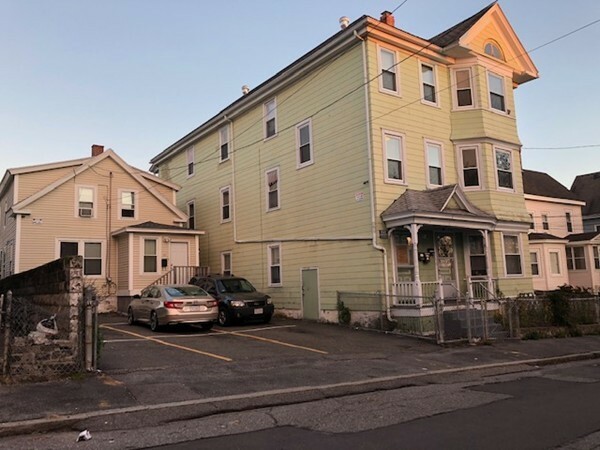 There is some parking behind the building facing Armory St. with the other spaces reserved for the residential tenants. This unit would be suitable for retail or office use. Tenant pays their own heat and electricity plus NNN. Insurance is required. First, Last & Security. Great Opportunity! This 2 family is perfectly situated to public transportation, shopping, University, and recreational facilities. 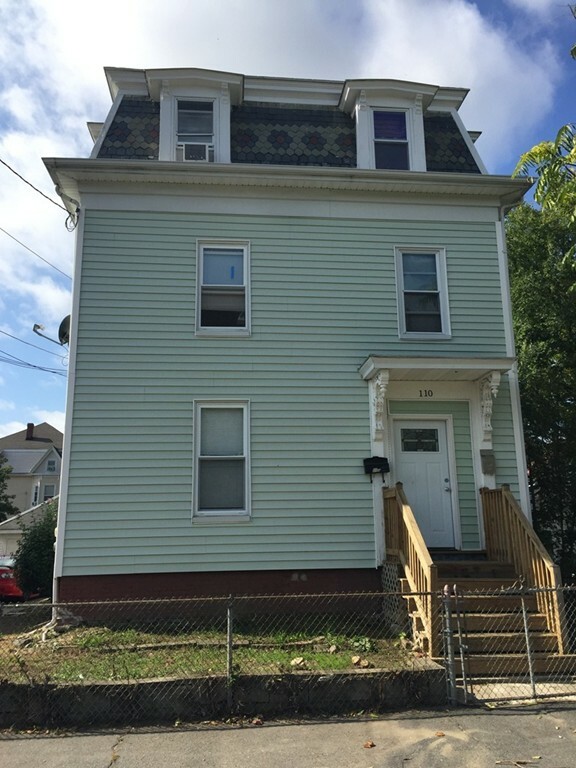 Home offers new vinyl siding, windows, roof, one car garage and large back yard. First floor unit offers two bedrooms, living room and dining room over looking the kitchen. Second and Third floor is totally gutted and could possible be a four bedroom unit. Great owner occupied rental or complete investment property ...your choice. 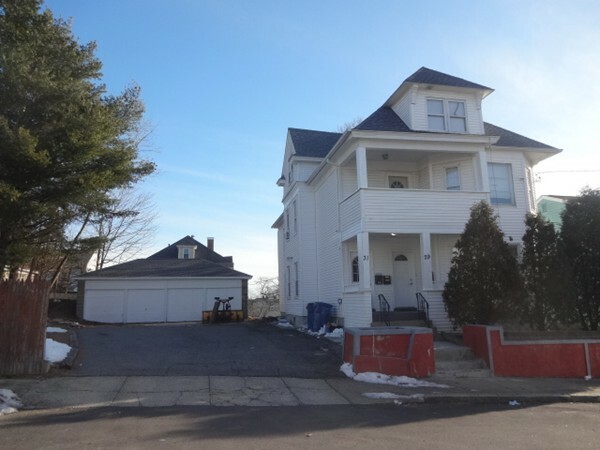 11 Room 4 Bedroom 2 family on an over 10,000 SF lot! Large Driveway with plenty of parking. Large fenced in yard with storage shed! 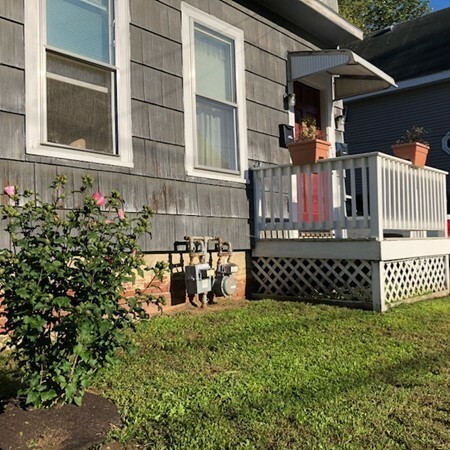 Property needs updating and some repairs. 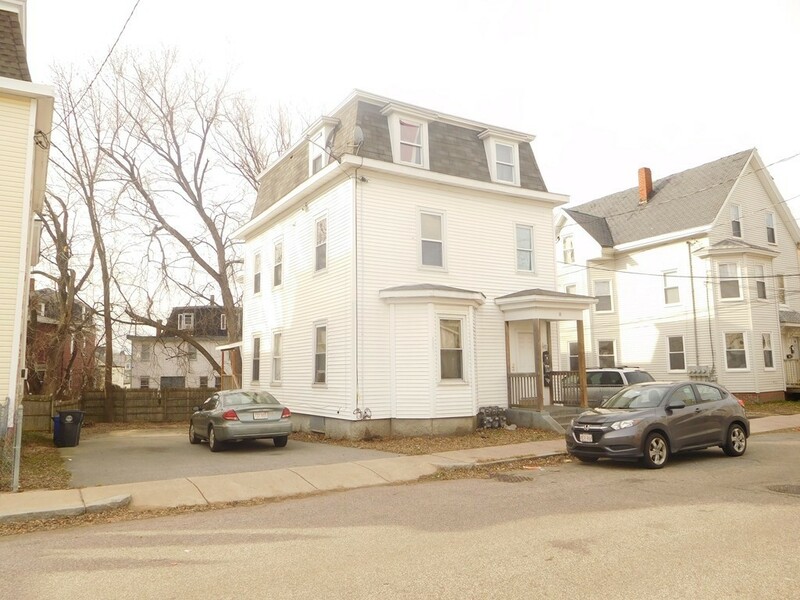 However the size of the lot for a multifamily in Methuen is a rare find! Property being sold "AS IS" "AS SEEN", inspections are for informational purposes only. May need a rehab loan. 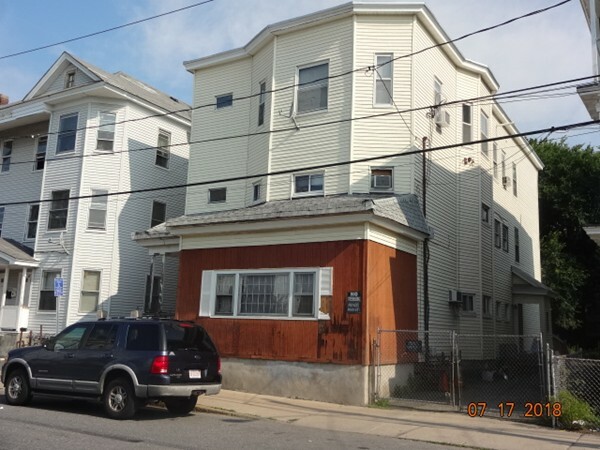 Towerhill duplex of 4/2/1.5 each side, 1 car garage under each unit and four additional parking spaces. Tiled kitchens and baths. 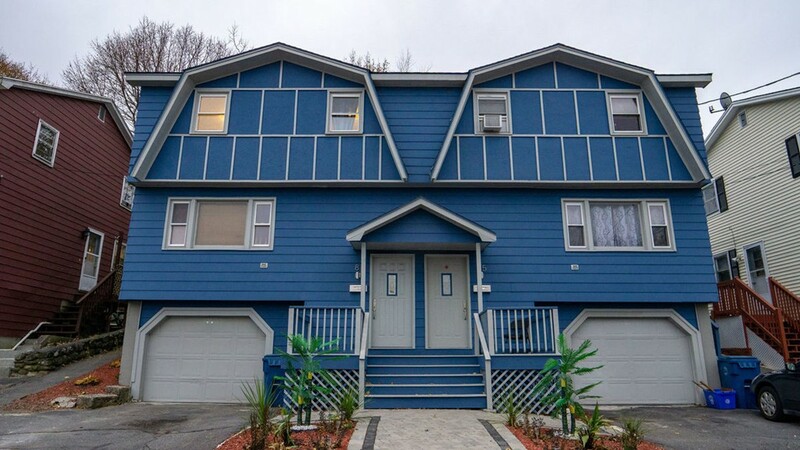 Great location for commuters within minutes to Rt 93 and 495. OFFER DEADLINE SATURDAY 2/23 AT 5PM. Great 2 family home located in the Towerhill Area. 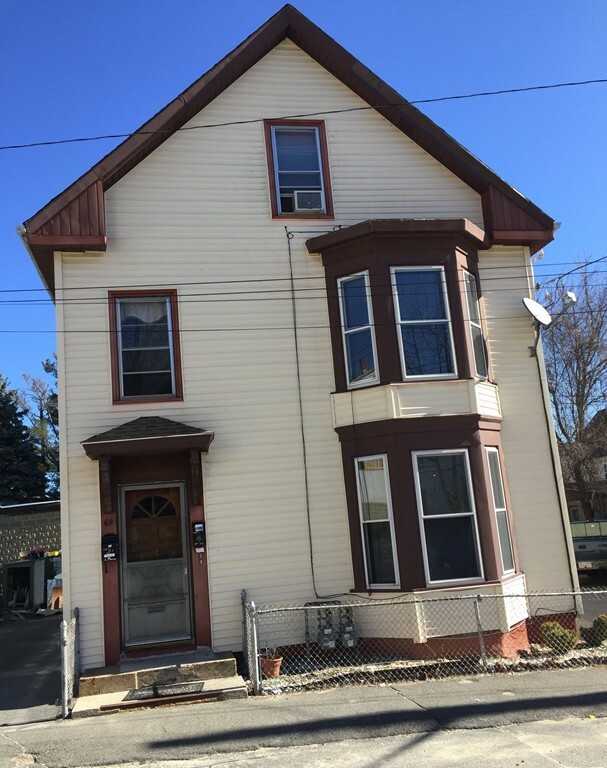 Home features gleaming hardwood floors, large bedrooms, brand new heating system and water heater for 1st floor, large basement for storage. Home is located near shopping, major highways and routes. Won't last! Call today for your showing! SOUTH LAWRENCE 3 FAMILY. 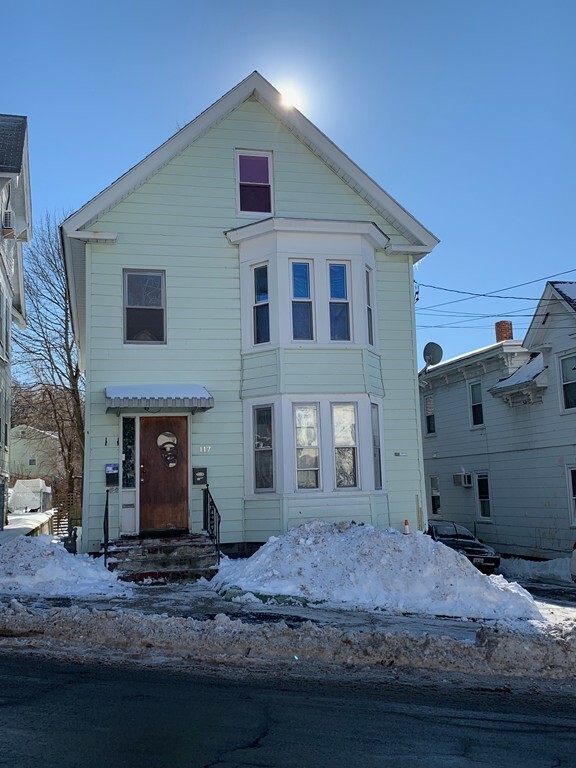 Looking for a home that has spacious kitchen, dining room and living room, 3 bedrooms in the 1st and 2nd floor unit, possibly could be a 4 bedroom, 3rd floor has a 3 room apartment. Separate utilities, New boilers for 1st & 2nd floor, 3rd floor has electric heat. 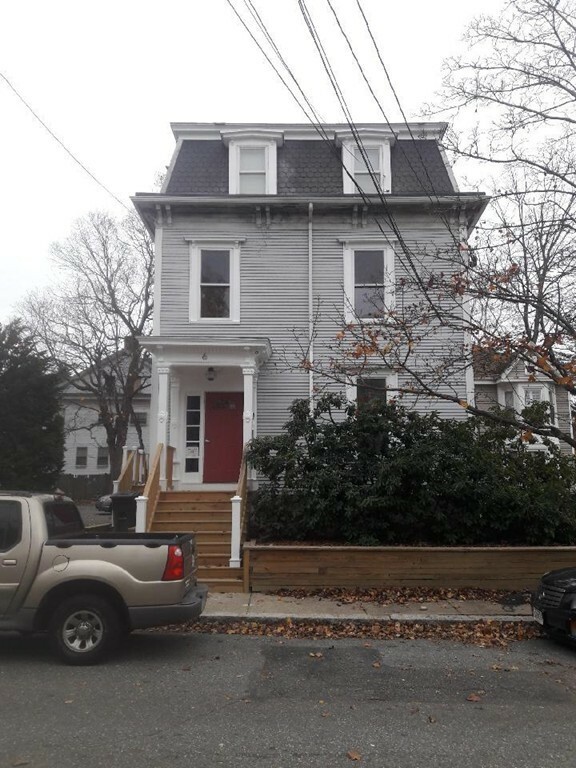 Some nice features, wood floors, tin ceiling in the 2nd floor kitchen, modern baths, insulated windows. . No rental history, tenants have been family members. Property does need work, WILL NOT PASS FHA OR VA. Solid two family located on a dead end street. Plenty of off street parking, fenced yard. Townhouse unit features 6 bedrooms, 2 baths. Owner occupants this is your chance to buy an income generating property at an affordable price. 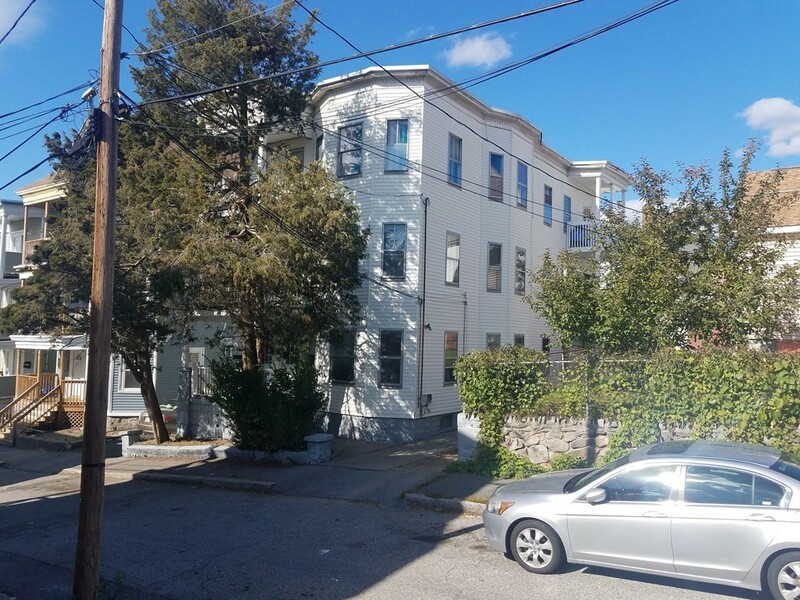 Both units offer 3 large bedrooms, separate utilities, off street parking and so much more. 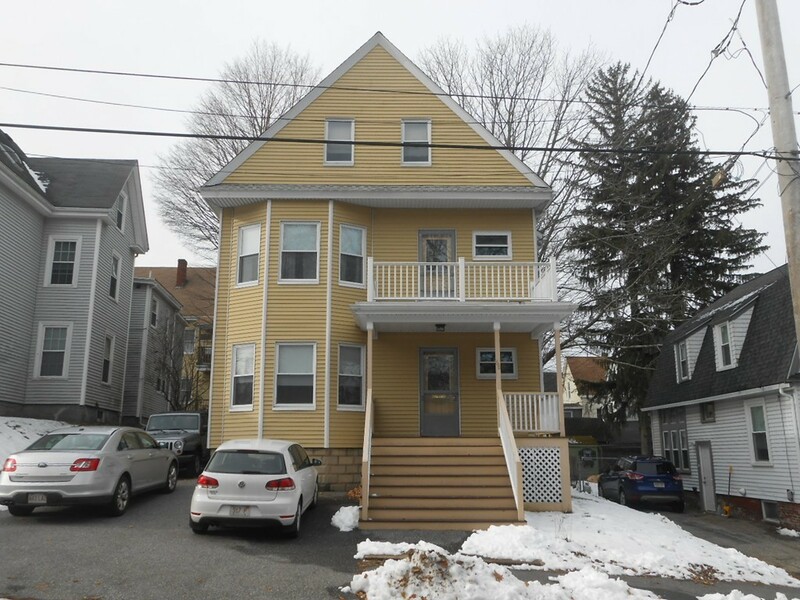 Town house style units in sought after South Lawrence location. Close to shopping, public transportation, schools and park. HUD Home. Sold AS IS by elec. bid only.Prop avail 1-15-19. Bids due daily 11:59PM Central Time until sold. FHA Case #251-325540. Uninsured. Eligible for FHA 203K. Amount for repairs TBD. Financing options: Cash, FHA 203K. For Prop conditions, Forms, Discl & Avail please visit www.HUDHomestore.com. For additional forms, updates, step-by-step videos & free photo list, please visit www.BLBResources.com. BLB Resources makes no warranty as to condition of property. Buyer to verify all info. LBP. 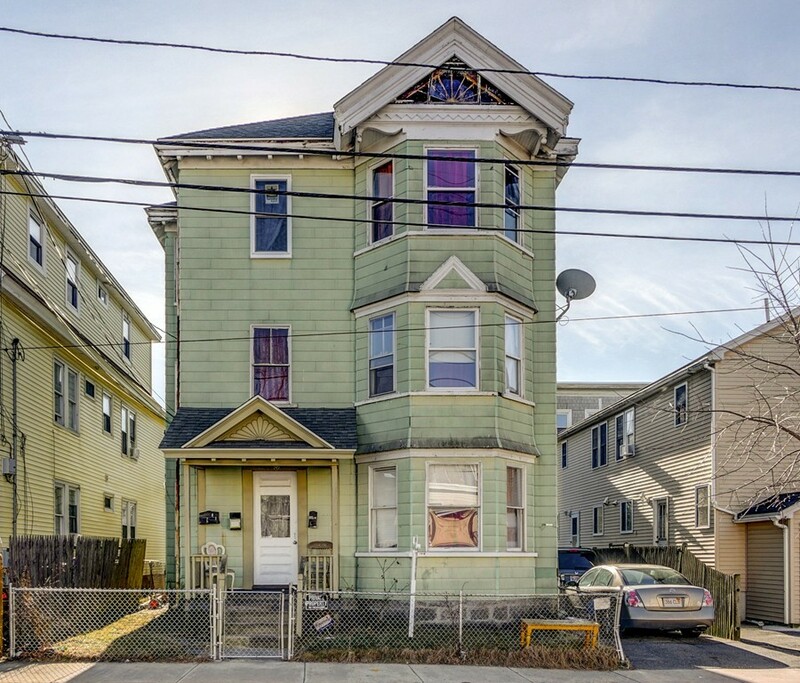 Per FHA appr., 80 Abbott St. HIGHEST AND BEST OFFER BY 2/6 @ 5PM. Well maintained two family home located on side street and convenient to I495. Home features hardwood floors, ceramic tiles in bathrooms, good size yard, double driveway. Second floor unit has a new kitchen with island, stainless steel appliances, updated bathroom, freshly painted. First floor unit features hardwood floors, updated bathroom and appliances included. Great price in today's market and won't last. Call today for your private showing. 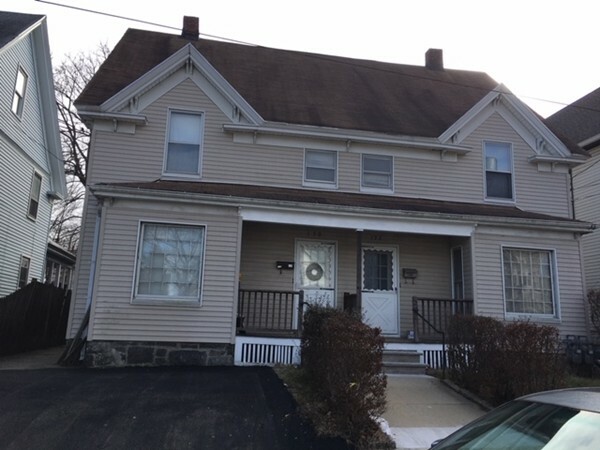 "STAND OUT" INCOME PROPERTY WITH 7 BED RM POTENTIAL! (Unit 1) 2 bed/1 ba, 2nd bed used as living rm. Eat in kitchen. Currently leased till June 2019 collecting $900/mo. 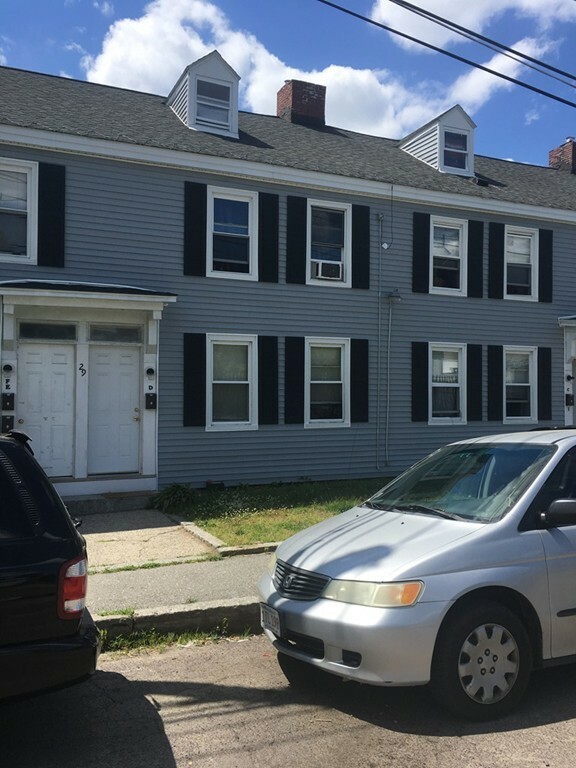 (Unit 2) vacant and move in ready! 2 bed/1ba. Living Rm, eat in kitchen & small office nook. When occupied collects $1200/mo. AMAZING POTENTIAL to expand U-2 into the attic with 3 additional unfinished bedrooms. Units have separate utilities & separate laundry in basement. Hardwood floors in both units. Common areas in basement and backyard. Other updates; New furnace, new hot water heater, newer roof, ALL newer windows & fresh paint! Off street parking for 2-3 cars. Property has been well maintained. Owners annual expenses are minimal! An ideal location within close proximity to tax free NH, highway routes, public transportation, shopping/restaurants. 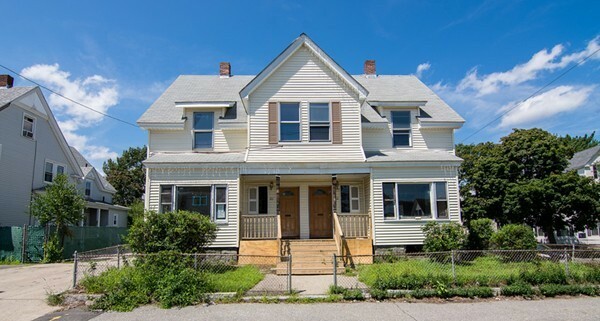 Don't miss out on this opportunity to own a rare, multi family home in Plaistow. Each unit has lots of space and flexible floor plan. The front unit is old style with a wood stove hookup, open concept kitchen and dining area, 3 or 4 generous bedrooms. The 2nd unit is a little more modern with 3 or 4 bedrooms. Close to town center, shopping, restaurants and recreational facilities. The 3 story barn needs repair, but this property offers so much potential. This is a HomePath property. Seller is Motivated!!!! Great Methuen three family!!! Featuring three good size bedrooms in each unit with a letter of compliance for each one. Ideal for a first time home buyer with two units to help pay the mortgage. 2nd Floor flooring all brand new to include laminate and ceramic tile. Bring your final touches and make this your home with plenty of parking. Close to Shopping centers, Restaurants, Public Schools and much more. 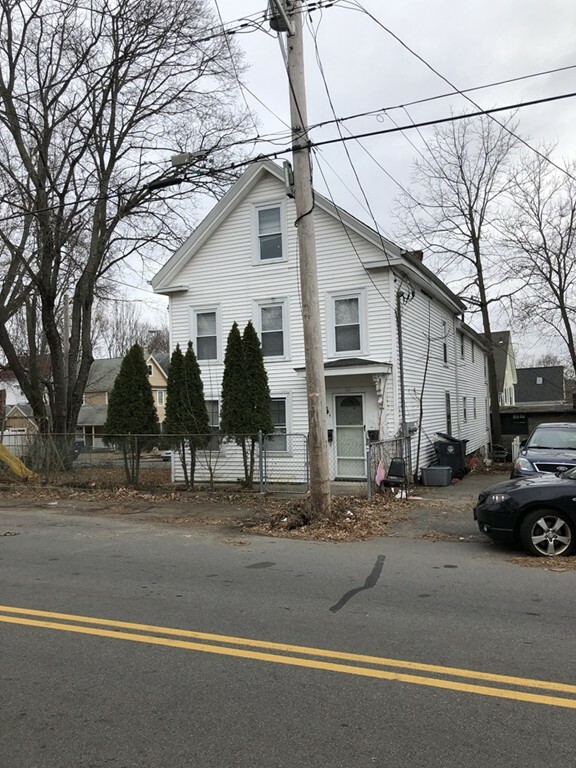 3 properties on 1 lot!! Great investment for an investor or first time home buyer. 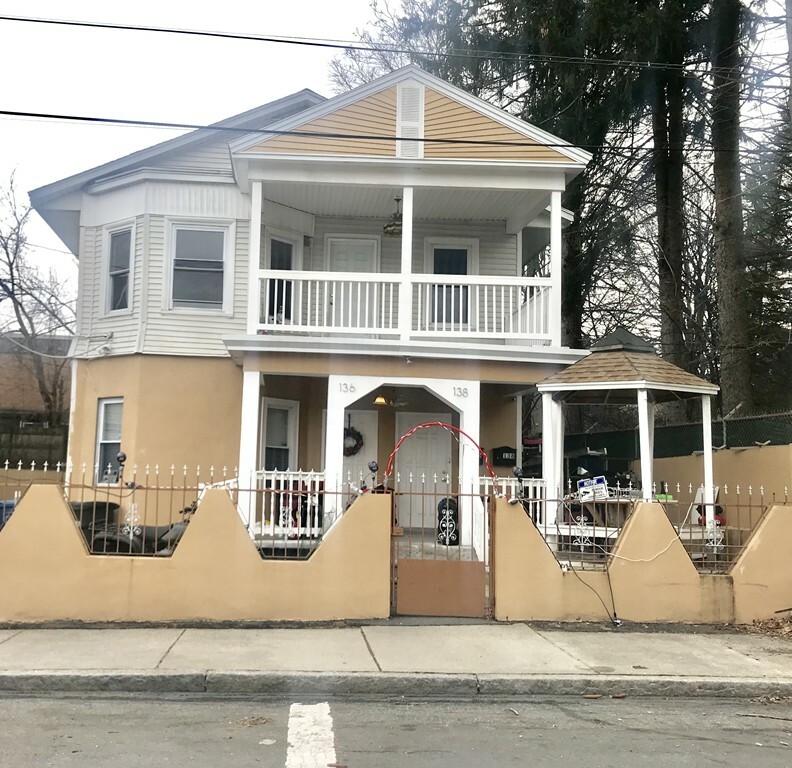 Well maintained 4 units: 2 single family homes & a two family property on the same lot with plenty of parking, some updated features & a large beautiful backyard for entertainment. Don't miss this great opportunity for owner occupant to enjoy their own home while obtaining added revenue renting the second unit. 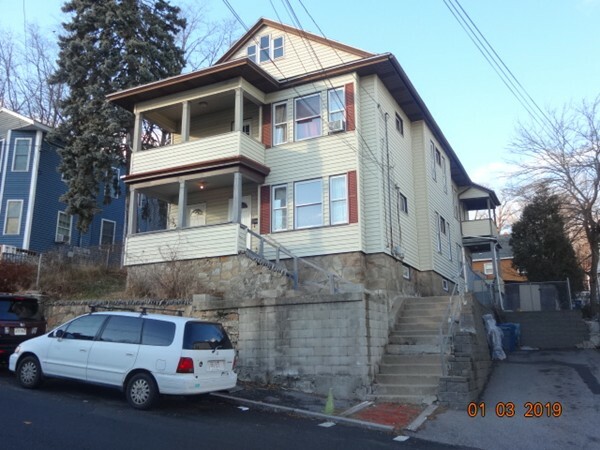 This 2 family So Lawrence home has plenty to offer. 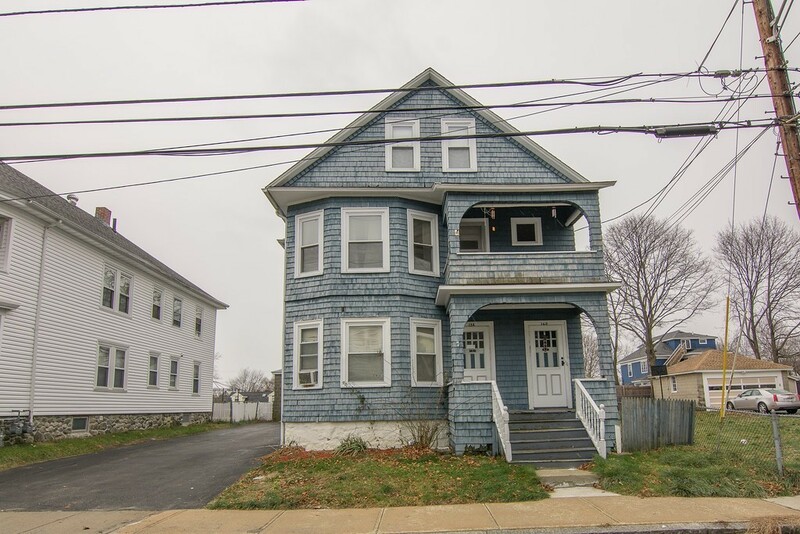 1st Floor has 3 brms,sunny kitchen, h/w floors, 3 season rm & partially finished basement with wood stove, bar & 1/2 bath! 2nd floor unit offers 2 bedrooms, wood floors, bight & sunny kitchen & a porch to sit & enjoy your morning coffee. 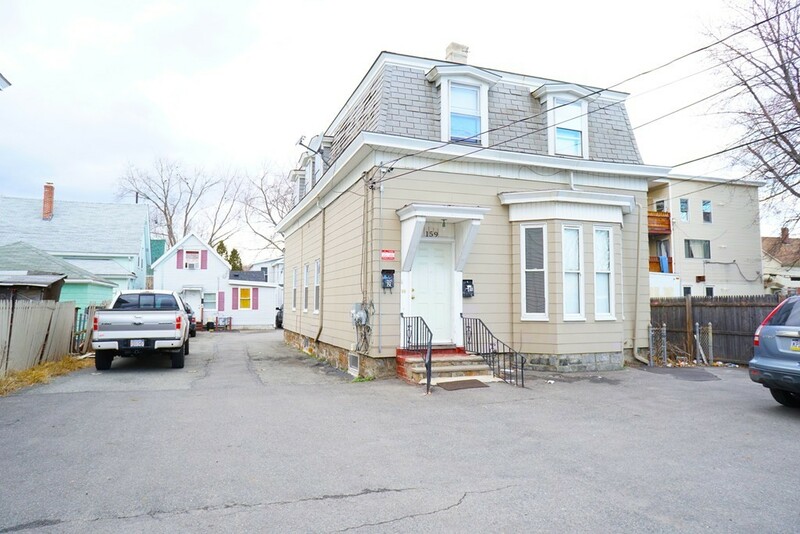 A garage w/ attached shed & paved driveway offer plenty of off street parking. 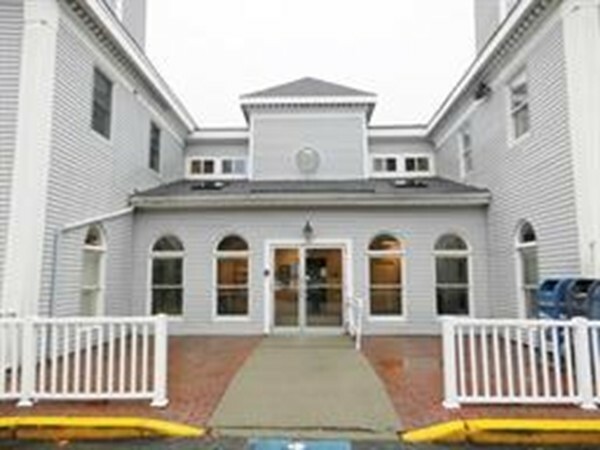 Conveniently located close to rte 495 & Andover commuter train, store & restaurants. Don't wait, schedule a showing today! 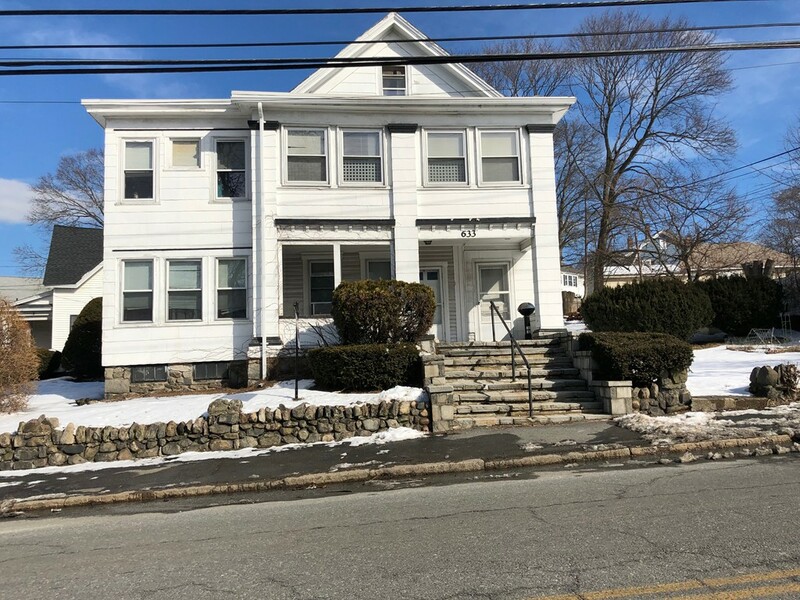 Affordable Methuen 2units...2nd floor unit is a town house style and featuring Newer kitchen and Bath, new flooring throughout, new appliances, freshly painted, new carpet, newer vinyl windows, separate utilities, vinyl siding. new heating unit for 2nd floor 1 year old hot water tanks,.2nd floor unit is vacant and ready for immediate occupancy. make an apt today. This is a perfect house for a first time home buyer!!!. Featuring new floors throughout, new paint, granite counter top, new cabinets, new stairs. This house is close to all kinds of amenities. Separate utilities, plenty of parking space in a corner lot. Close to downtown, businesses and schools. Very easy to show, no notice required. You don't want to miss this one!!! This GEM has an exceptional floor plan for a 2 family, Large Units with high ceiling, Gleaming hardwood floors. 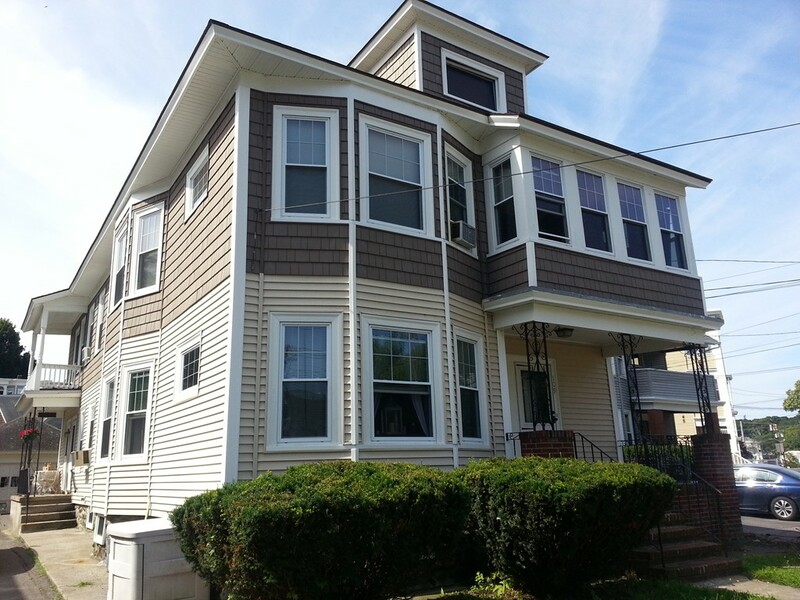 Second Floor is bright and sunny with a townhouse style feel perfect for owner occupant. Living room, dining room, eat-in kitchen with new cabinetry and flat screen which will (remain)& laundry room right in the unit. Home office, plenty of closets and much more. Garage with automatic door and a tenant to help pay the mortgage!!!! Attention! 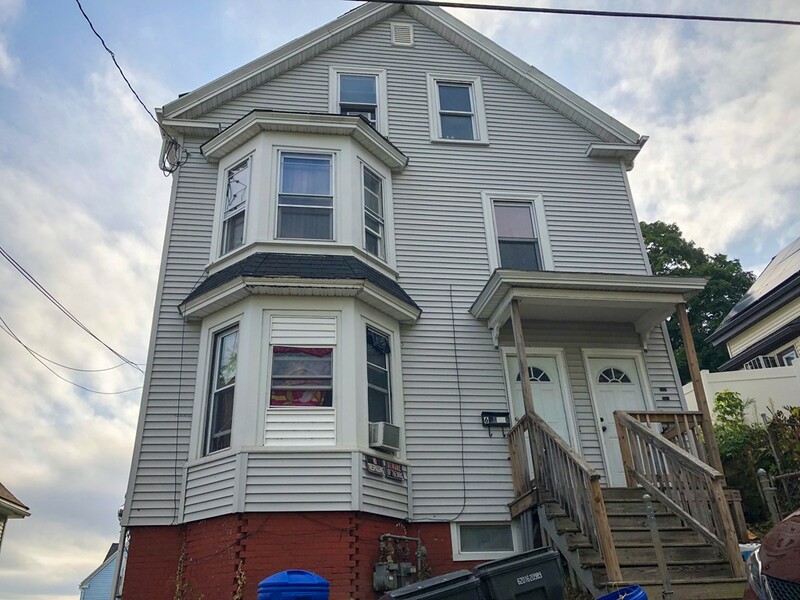 First time home buyers and investors, this is the opportunity you were looking for, 3 Family House Centrally located in the Heart of Lawrence Ma, this property offers 3 bedrooms per floor and plenty of extra space for each family. This is a most see before it's gone! Come to the open house scheduled for Oct 27th 2018 from 12 pm to 1:30 pm. Don't miss it! this property will go fast..Offers deadline is due on Monday Oct 29 2018 at 5 PM. Great opportunity to own this over-sized two Family Home. Vinyl sided, newer windows, newer roof, fence in yard with a shed and off street parking. Generous sized bedrooms, beautiful hardwood flooring throughout and ceramic tiles bathrooms and kitchecn. Washer and dryer hook-ups in the basement. Both units are deleaded (letter of full deleading compliance and inspection report). Hard to Find in todays market! 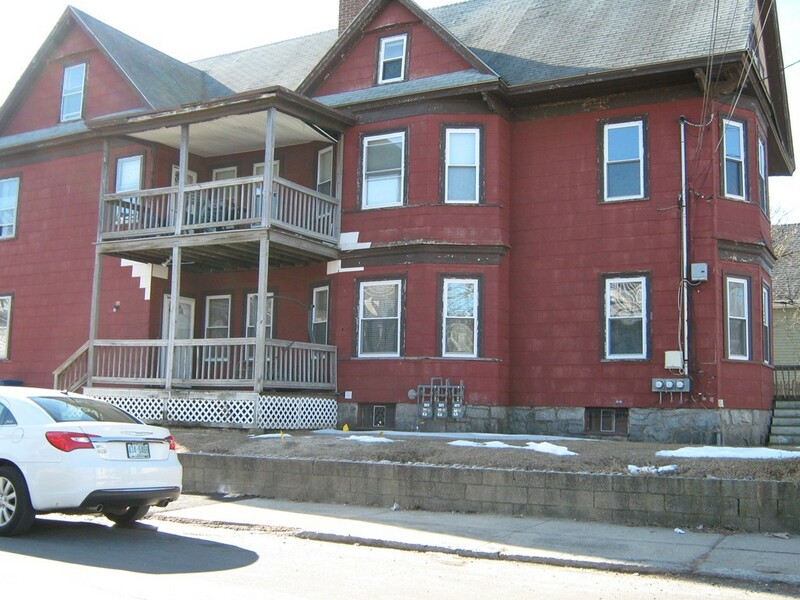 Centrally located in the heart of Lawrence, a true 18 room three family with over 4,000 ft. of living space. Each unit has 3 bedrooms, large living room, dining room, and kitchen. Enclosed porch for extra storage and side decks. 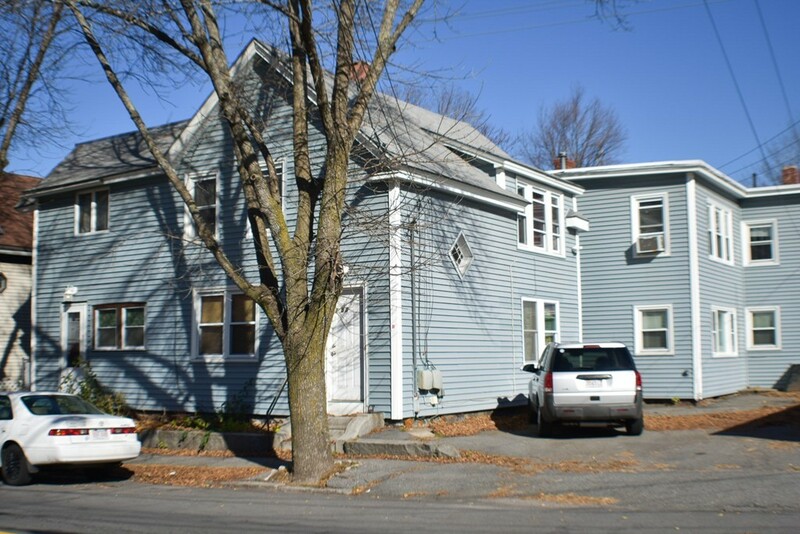 Separate utilities & vinyl siding, plus plenty of off-street parking. Close to all amenities including shopping and medical. 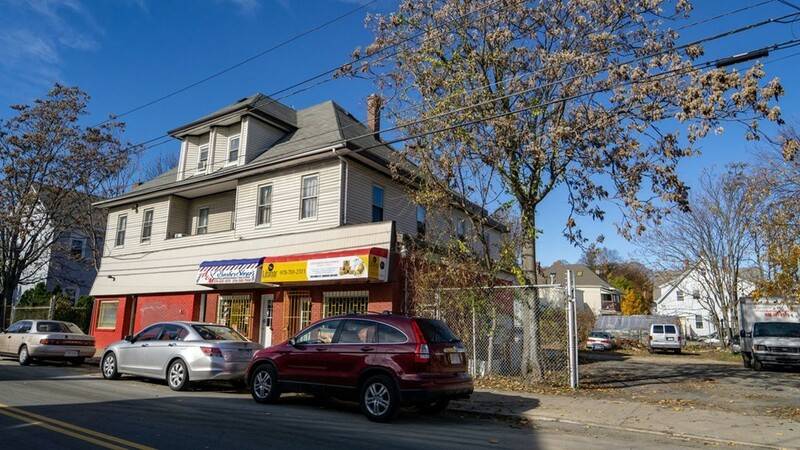 Owner occupants - seller will not negotiate any owner occupants until the subject has been on the market for 7 days and 21 days for investors. 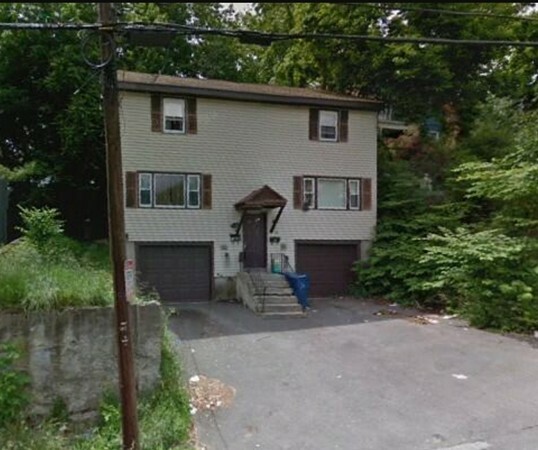 Excellent opportunity to own this 3 Family house located in Tower Hill. Vinyl sided, newer vinyl windows, nice PT deck, plenty of off-street parking and a FOUR CAR GARAGE. 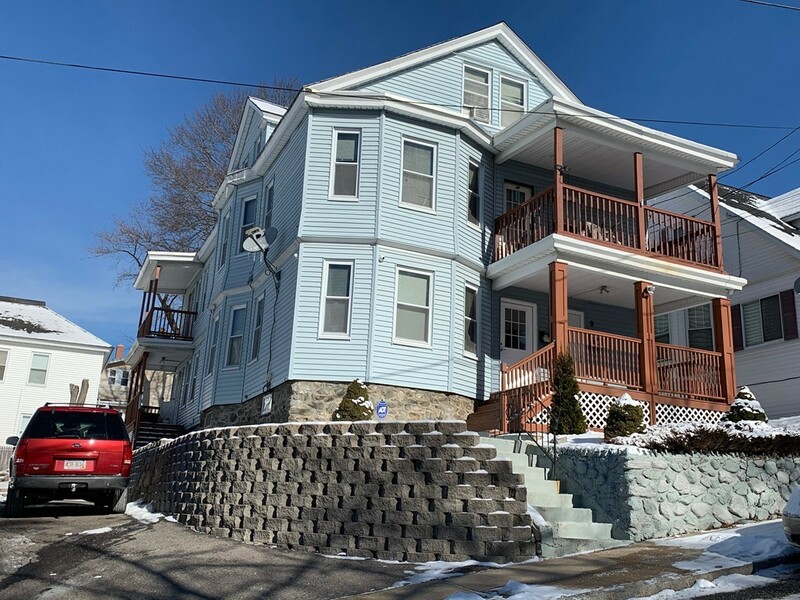 New roof was complete in the summer of 2018, 1st and 2nd floor units were remodeled in the past two years, 1st floor has newer kitchen cabinets with granite counter tops, beautiful hardwood floors and it was freshly painted. 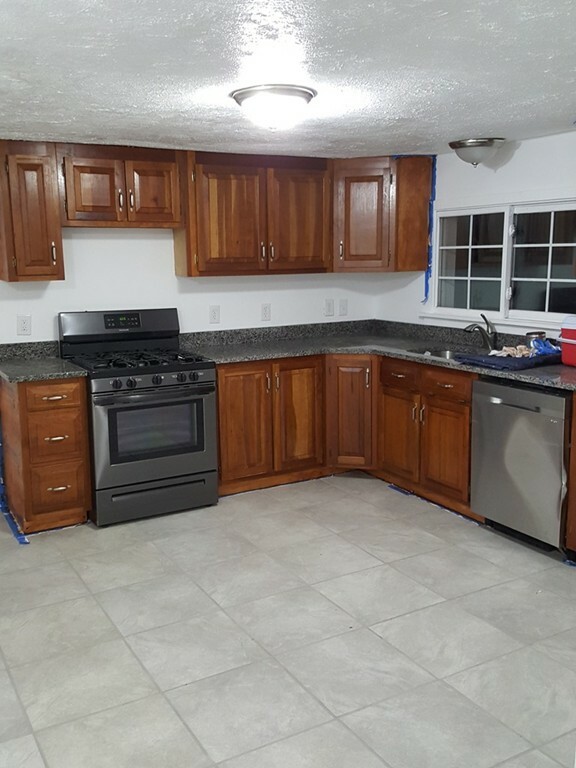 2nd floor has newer kitchen cabinets, elegant hardwood floors and was freshly painted. This is the one you have been waiting for. Move in Condition desirable 2 family in the Tower Hill section of Lawrence loaded with updates including granite counters and island in the remodeled Kitchen in the first floor, extended finished lower Level with a large entertainment room and 3/4 bath for entertaining friends and family. This home also has an Iron gate around it, easy maintenance Vinyl siding and off street parking. A Must see for those looking for a solid Multi to live in. 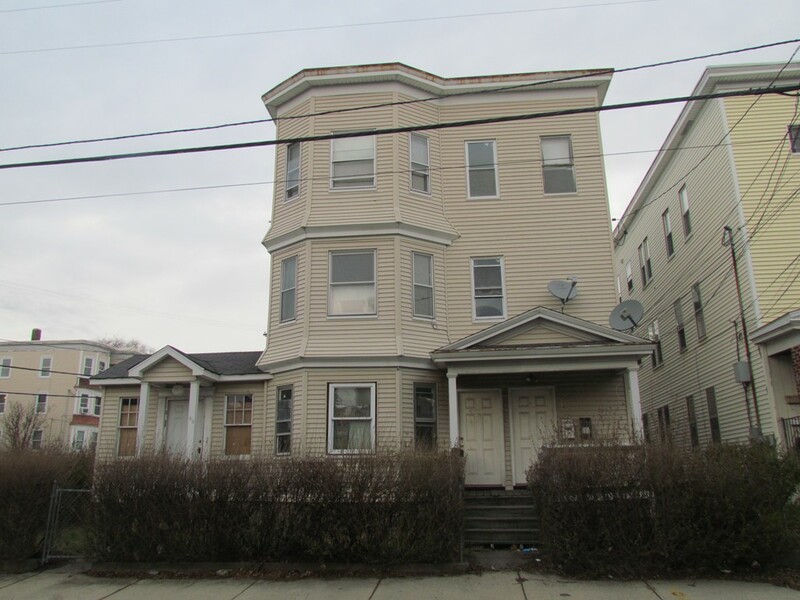 Rare 18 Unit complex offered for sale. Three separate buildings for sale as one package or available to be purchased individually. 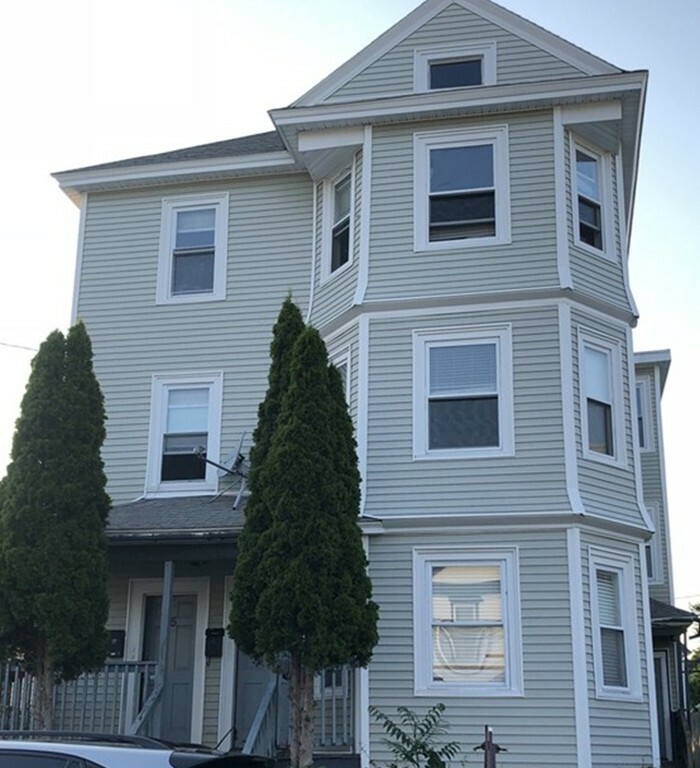 Owner has completed many improvements over the past two years including, roof, some heating systems, electrical upgrades, stuctural support upgrades, lead paint abatement, plumbiing upgrades, etc., etc. Good opportunity for the seasoned investor. 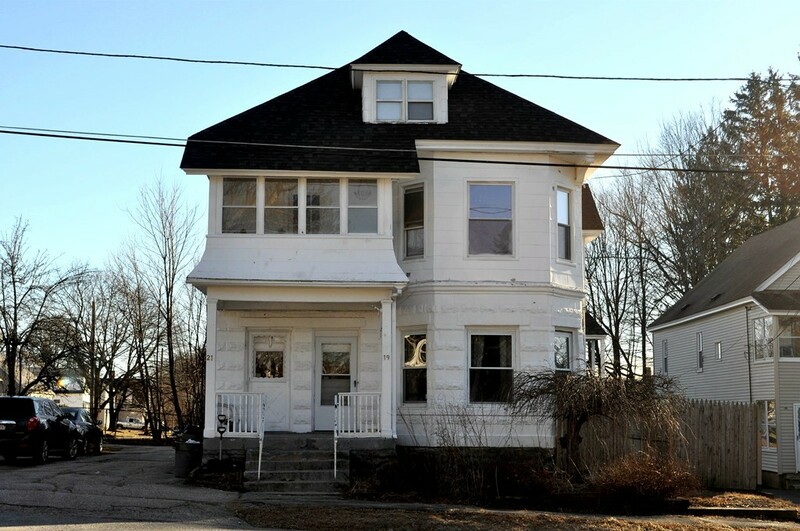 What an opportunity to own this OVERSIZED 3 Family property centrally located in Lawrence! All utilities separately metered, Additional utility storage room on each unit. 1st floor owner unit is a town house style with 4 bedrooms and 2 bathrooms. Plenty of parking and a good sized yard. 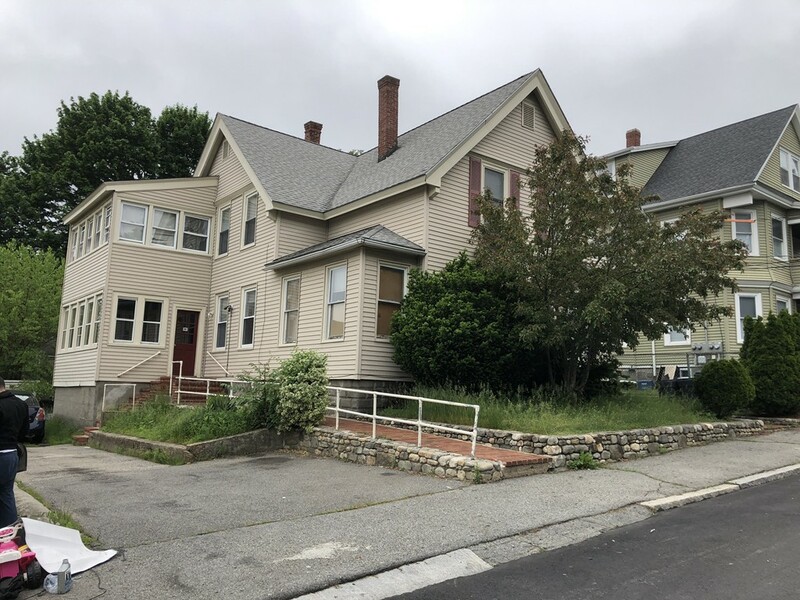 Property needs some TLC but a great property for an investor or owner occupied.1st and 2nd floor units will be deliver vacant at closing. Will not qualified for FHA financing, Only Conventional, Re-hab or Cash . Back on the market due to buyers financing. Here's your chance to own this solid 3 family home. Each unit is de-leaded. 2nd floor is vacant. This home was gutted to the studs. High efficiency natural gas heat systems with on demand hot water. 2 bedrooms in each unit, lots of off street parking. 3 large updated units with a fire alarm system in place.. Each Unit has a private deck. Access to the stores and close to the commuter lines. 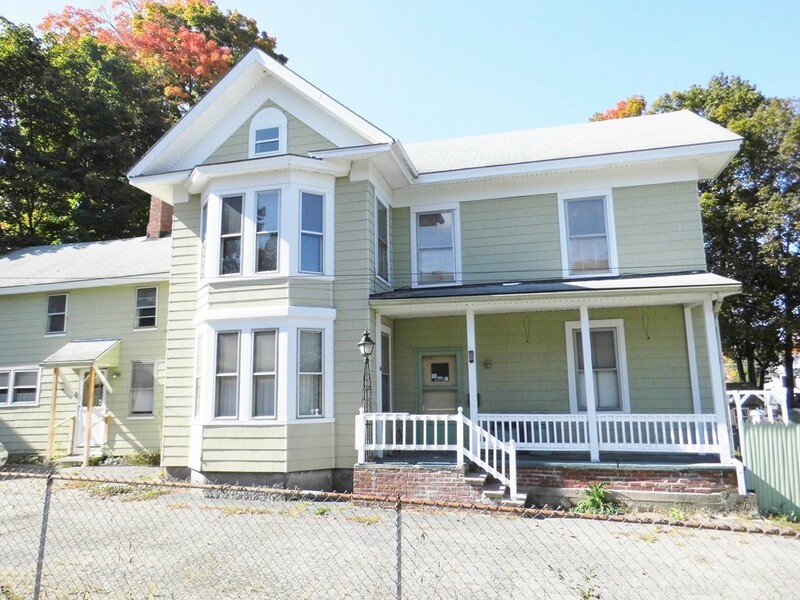 A rare opportunity to own a well-cared for two family in the same family for generations. Three bedrooms each unit. Each unit is attractive with large eat-in kitchens and pantry. Hardwood in living rooms and bedrooms. First floor has updated bathroom and newer cabinets in the pantry. This home has old world charm with built-ins and the old, beautiful pillars in the living rooms matched with good storage spaces. Each unit has its own boiler, water heater and laundry facility in basement. Each unit has its own separate front hall entry and separate back door entry, so the only common space is the basement. Harvey Signature windows throughout. Vinyl siding was redone in 2009. Roofing in 2006. Detached two car garage with additional off street parking in driveway. Lead Compliance certificate for first floor. 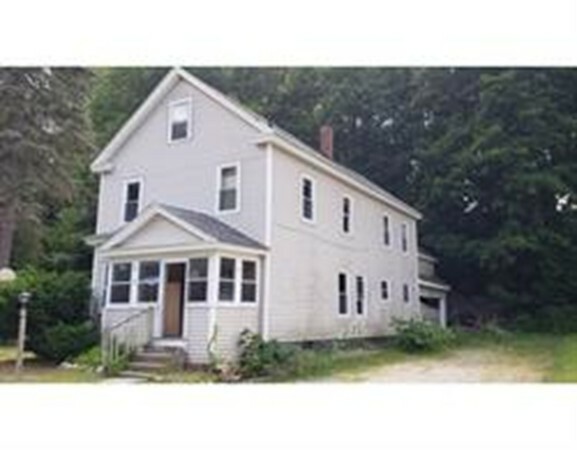 Huge walk up attic for storage or potential conversion to living space. This home and the two adjacent were built by the same builder. The builder kept this home for his family. Opportunity to own a nicely-maintained 4 family, centrally located with easy highway access. Property consists of two - 3 bedroom units, one - 2 bedroom unit and a townhouse-style unit with 2 bedrooms and 2 baths. Units show well with good-size bedrooms, living rooms and kitchens. The basement has extra storage areas while the large yard offers a space for tenant enjoyment. Comfortable rents with room for increase - Call for details! ATTENTION INVESTORS!!! 5,700+ square feet of living space in this investment property. 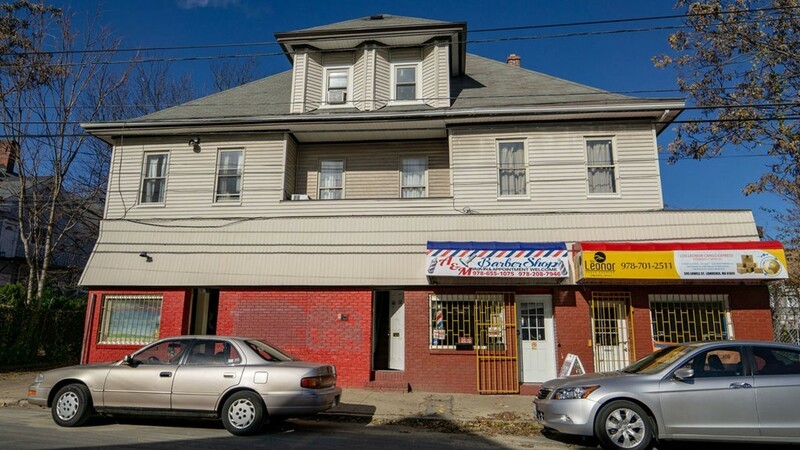 This property consists of 2 separate buildings on one lot. 3 units in each building. (One 3 Bedroom unit & Two 1 bedroom units in each building for SIX TOTAL UNITS). Fenced/Gated lot. PLENTY OF OFF-STREET parking for 8 cars or even more. Large back yard in rear of lot for outdoor space. 2015 NEW ROOF. 2012 to present all water heaters have been replaced. Long term tenants in place. 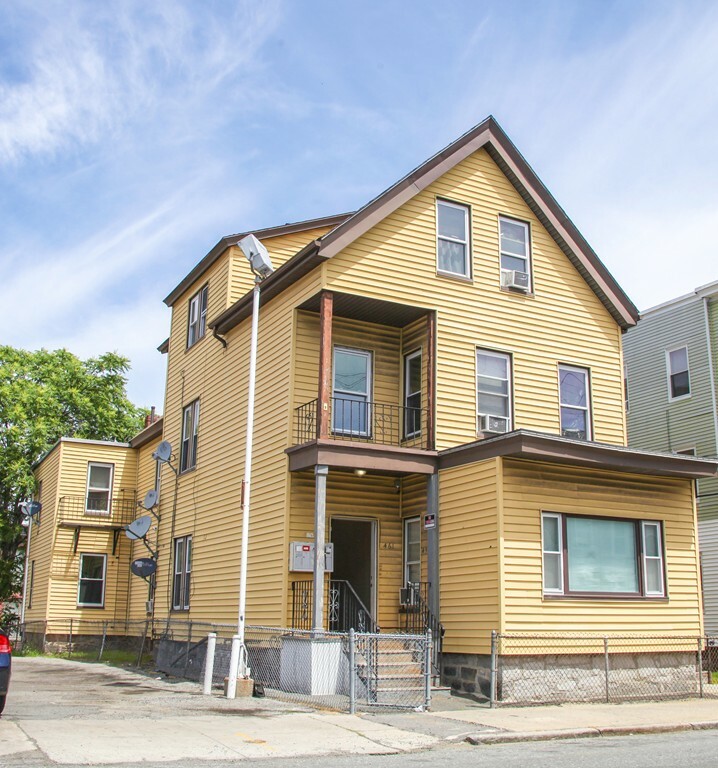 Dont miss the opportunity to own this expansive 12 room, 6 bedroom, nestled in a quiet South Lowell neighborhood. The perfect home for owner occupancy, investment, or an extended family! This charming two-family offers three large bedrooms in each unit, an open floor plan, and plenty of living space. Second floor complete with an updated kitchen and a newer heating system. Spacious and private backyard boasts a beautiful in-ground pool, perfect for outdoor family enjoyment on a hot summer day! First floor unit has a large backyard deck that overlooks the pool. Backyard also offers two sheds for additional storage space. 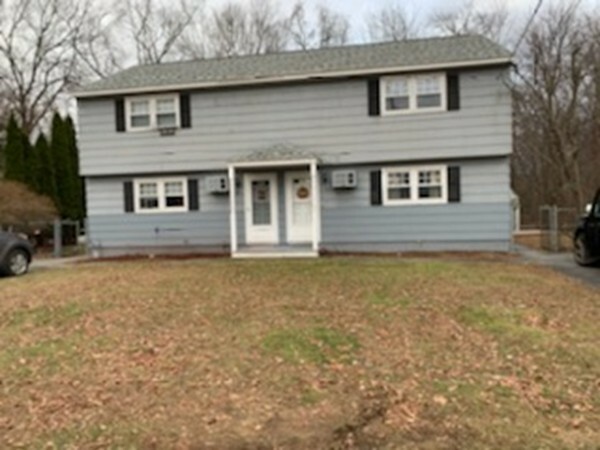 Two car garage and paved driveway provide ample parking spaces.This home is located in a fabulous commuter location, and is conveniently located close to the Chelmsford line. This one will not last, come see today! 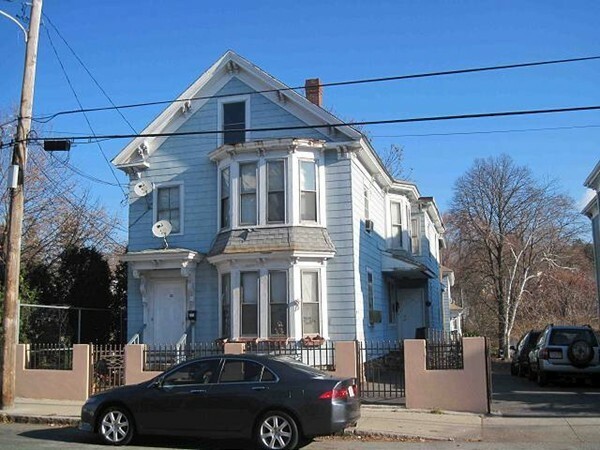 Clean, remodeled two family side by side townhouse style, 12 rooms and 6 bedrooms. Good for a large family. Freshly painted. Each side features two levels, 3 bedrooms, remodeled bathrooms and kitchens, separated basement, separate utilities, separate electric electric brake system, separate gas baseboard heating systems, freshly sanded and painted floors, new ceramic floor tiles in kitchen, bathrooms and hallways, new laminate floors in bedrooms. Fenced yard, parking for 2 to 5 vehicles. The basement is large and high with a lot of potential as storage or shop for a contractor, electrician or plumber or other suitable use. 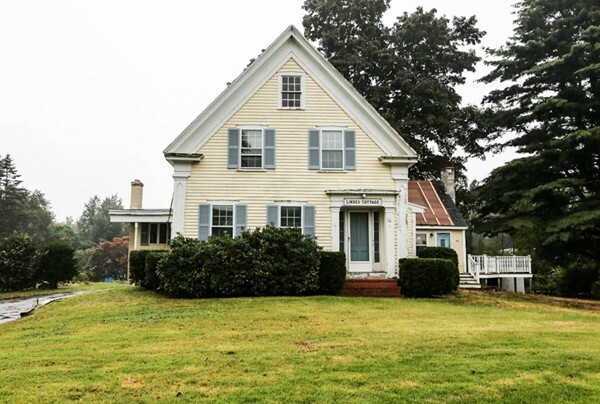 The property is located near to train station Rte 125, minutes from Rte 495. This 2 family in Bradford has been in the family for almost 70 years. It has been well maintained and has been updated over the years. The roof, windows, decks, exterior doors, hot water heaters and 1 heating system have been updated in the past few years. There is off street parking and the back yard is fenced. The 2 apartments are in great condition! Both have hardwood floors that are beautiful. The bathrooms in both apartments have been updated. The kitchen are large and there are pantries off of both. The walk up attic has heat, not currently in use, 2 rooms and front and back staircases for expansion possibilities. This is a property that is in move-in condition. 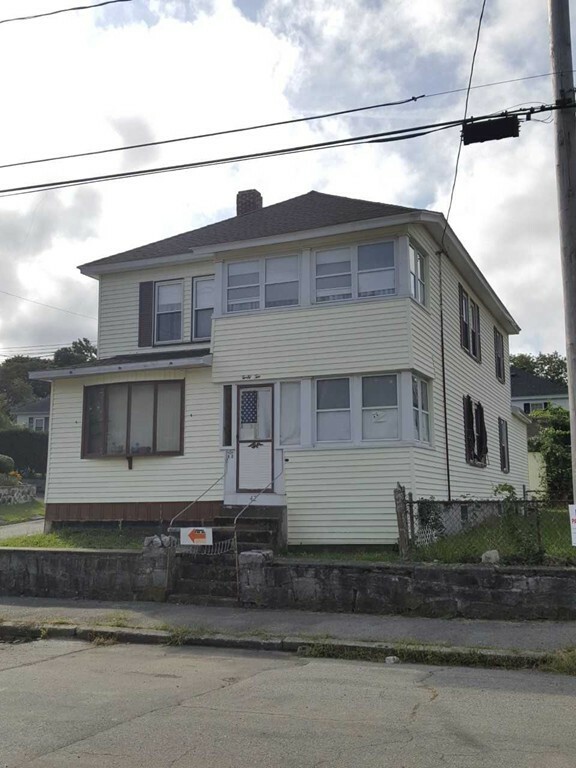 EXCELLENT OPPORTUNITY - MOTIVATED SELLER! This two family home is located in convenient commuter location off 213 and easy access to Rt. 93 and Rt. 495. Two units consisting of 2 bedrooms, living room, kitchen and first floor laundry! NEW ROOF, NEW WATER HEATER both replaced 3 years ago. Each unit has own driveway and private fenced in backyard. Close to nearby shopping and restaurants. Don't miss out on this great source of rental income - $2,925/month! QUICK CLOSING POSSIBLE. Great location! Spacious 2 family perfect for an owner occupant. 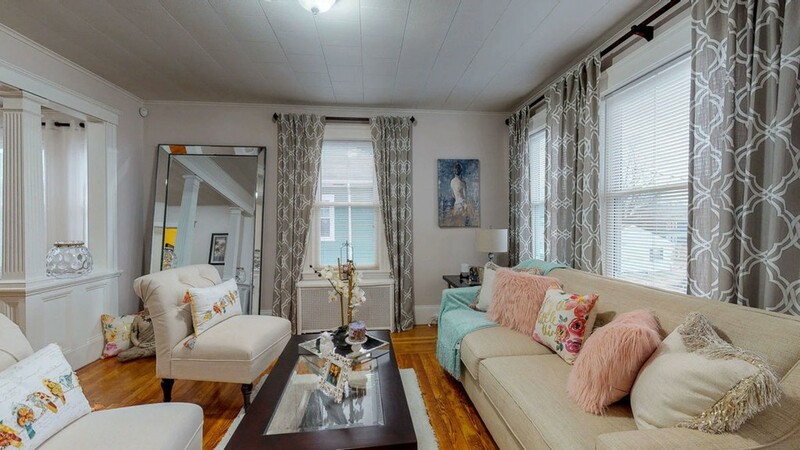 Second floor is a town house style unit offering a versatile floor plan and 2 baths. Newer boiler and hot water tank on the first floor unit. New roof in 2017, 2 car detached garage, plenty of off street parking. Updated baths and kitchens. Close to shopping, highways and public transportation. Here it is! 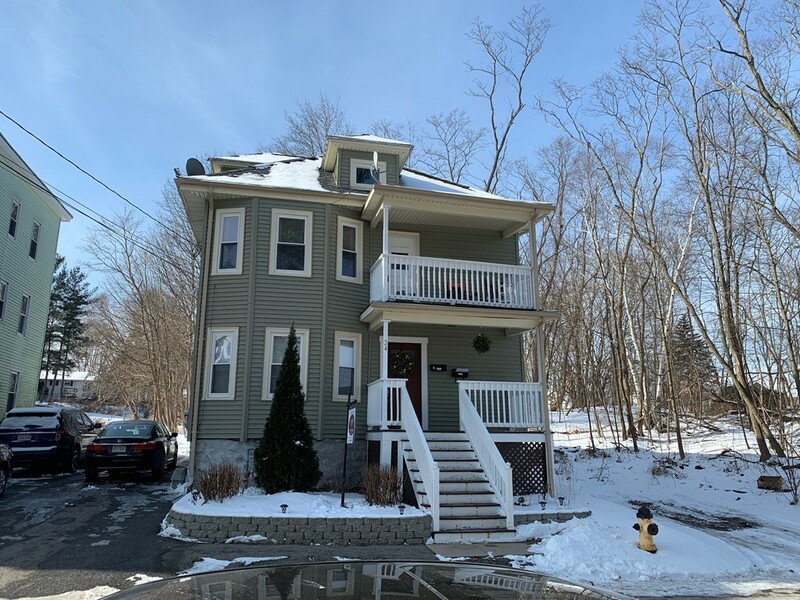 The home that you have been looking for located in the Lawrence/Methuen line! 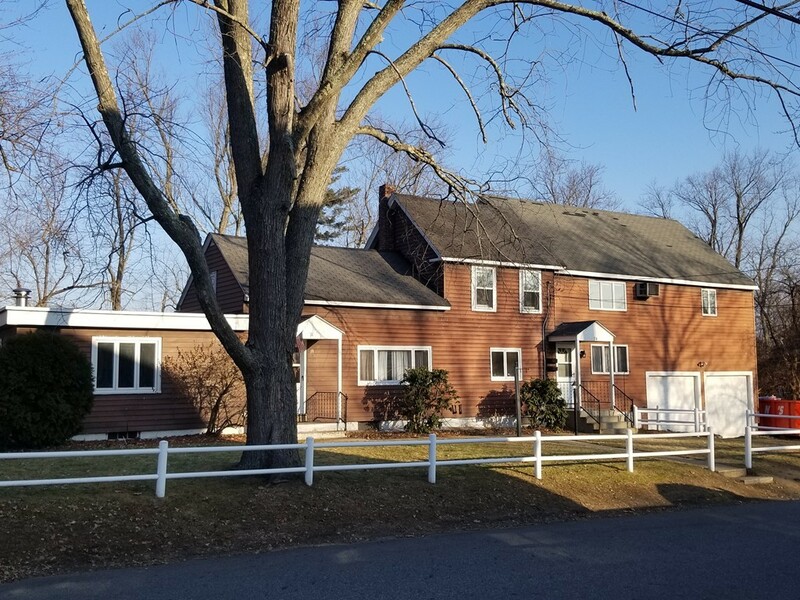 Home offers access to Interstate 495, within distance to the Loop shopping center as well as tax free shopping in NH! Owner's pride throughout this duplex style home with off street parking, garage stall and backyard area for summer fun! Each unit offers a cozy living room area with hardwood floors that lead you a eat in kitchen with a combo of porcelain tile and hardwood floors, mosaic backsplash and stainless steel appliances! Both units offer a 2nd level with 3 spacious bedroom and updated baths. Lower level for both units offer ample storage space, possible future expansion and access to garage! Make your move and make this your home in time for the holidays! 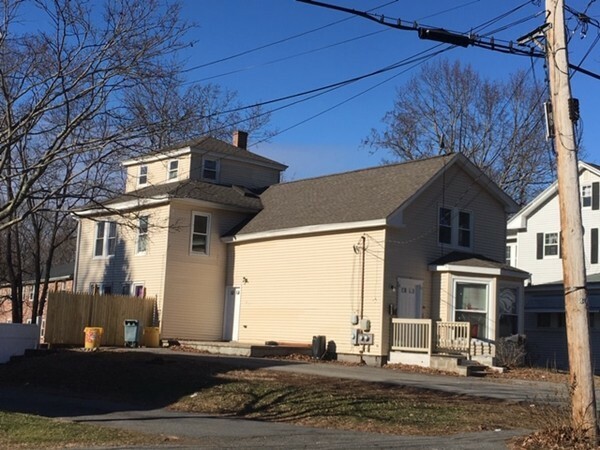 With some work this will be a great investment property or an owner occupied. First floor has kitchen, dining room, an office and 2 bedrooms, a mud room and access to the attached over-sized garage. The second floor has kitchen, living room, 3 bedrooms and an office. There is access to the large storage area above the garage. Separate utilities for each unit and a nice flat yard. Roof and windows are about 12 years old. ATTENTION LANDLORDS! This cash cow is now available for purchase! Each unit features two good size bedrooms and one full bath with shower/tub combo. All four units also include their own washer and dryer! The building has its own off street parking with a garage/storage building. Just looking to collect rent? The building already has tenants at will with room to increase on the rents! Make this your next income property and schedule a showing today! 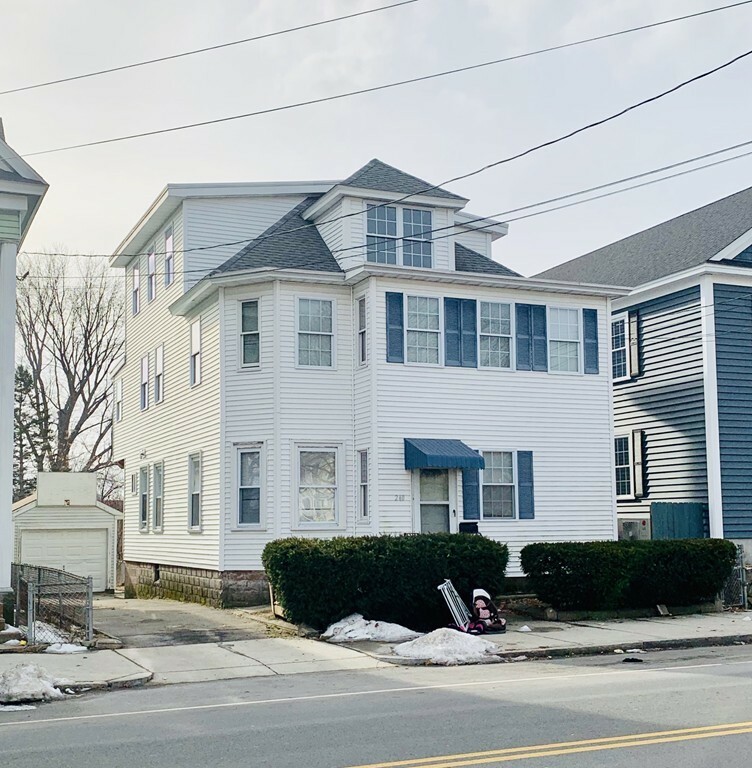 Oversized 2 Family home in Haverhill. This house features many updates through out including a new deck and stairs. 2 car garage, good size back yard great for entertaining. Finished attic with additional 3 bedrooms and a full bathroom. It is a MUST SEE!!!!! .